My requirements for our hotel in Prague were simple. All I wanted was something with old charm, a sparkle of something different, a few modern touches, a touch of romance, a central location and a price that didn’t mean I had to take out a small bank loan. OK, so I was being a little fussy. And there was a time I thought I wouldn’t find anything that fit the bill. But, about a month before we headed off, I found a hotel that ticked every single box: Residence Agnes. 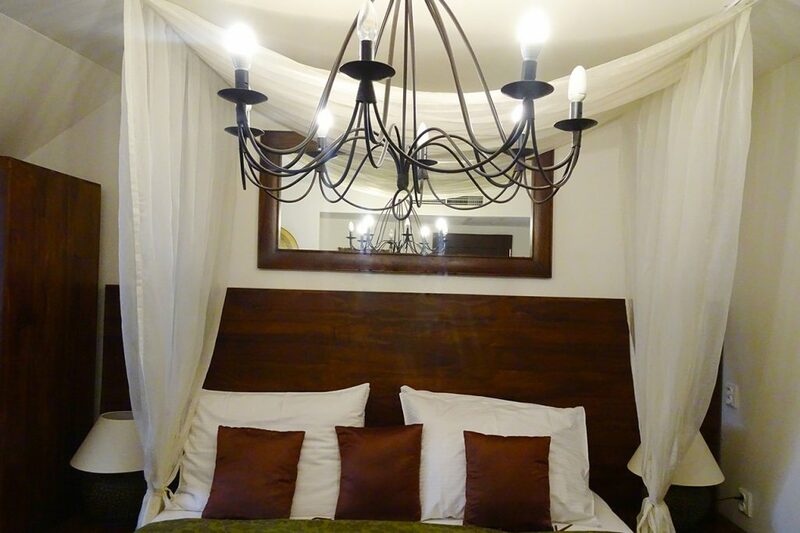 As soon as I saw its gorgeous rooms with curtains draped over the beds, I was sold. And finding out it was listed as the number 1 hotel in Prague on TripAdvisor completely sealed the deal. Our positive experience of Residence Agnes started long before we actually stepped foot in the hotel. 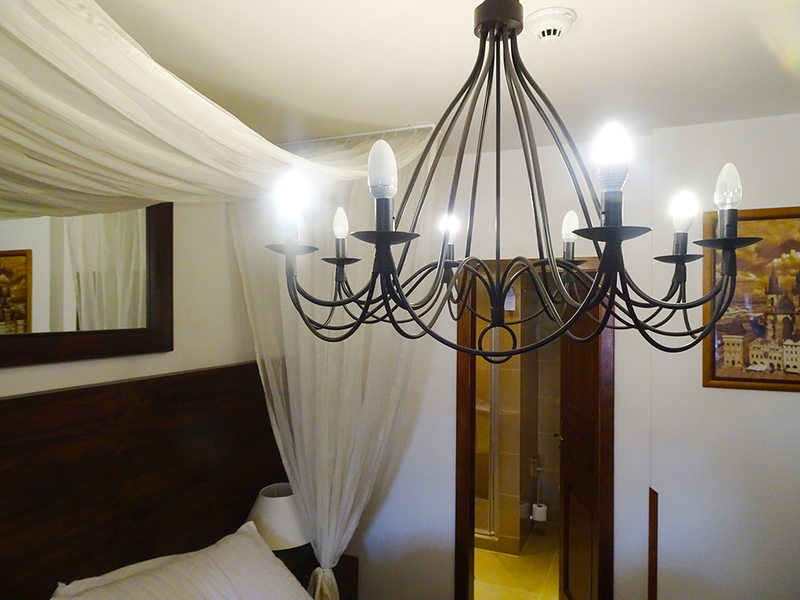 Just a few days after booking our room, I received an email from the hotel’s front desk asking if there was anything they could do for us – including a train station or airport pick-up, a private tour, or even some flowers in our room on arrival. They were able to answer all my questions about how to book train tickets from Budapest to Prague, and even secured us a table at the Hemingway Bar (which is only available to book via phone or in person). Talk about making a good first impression! When we eventually arrived at the hotel, our plans had slightly changed. We were meant to take an overnight train from Budapest, but instead we decided to come a day earlier during the day (long story – blog post coming soon…). 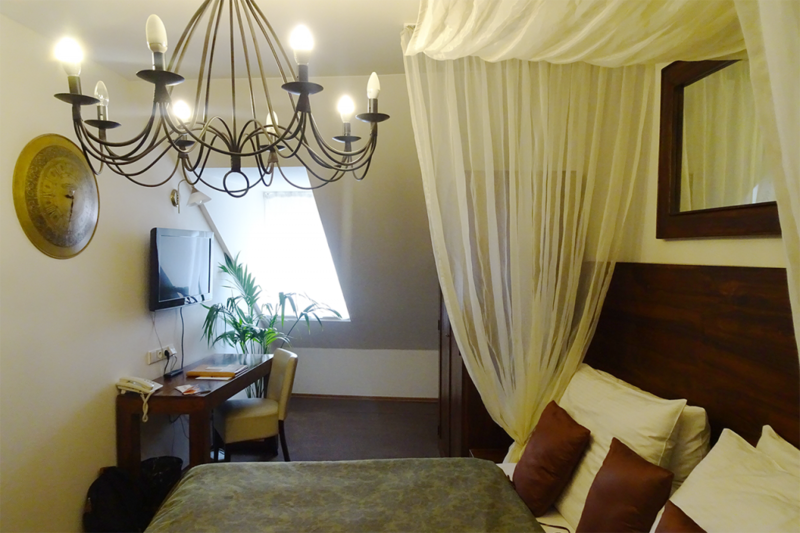 At the last minute we booked a cheap hotel near the train station for our first night in Prague, and after breakfast we dragged our luggage over to Residence Agnes ready for our 3 night stay…who promptly offered us another round of breakfast. So yes, that morning we got two breakfasts, and it was every bit as amazing as it sounds. I can’t even begin to explain how helpful the staff were. It was so ridiculous it was almost rude. Every time we walked into reception we were offered a complimentary drink. Every time we picked up something in the breakfast buffet we were told they would carry it over to the table for us. If we looked a bit confused about where we were going as we headed out the front door, we were shown maps. I loved it. It might sound a little overbearing, but it felt like the height of luxury for us – like all our desires were being taken care of. 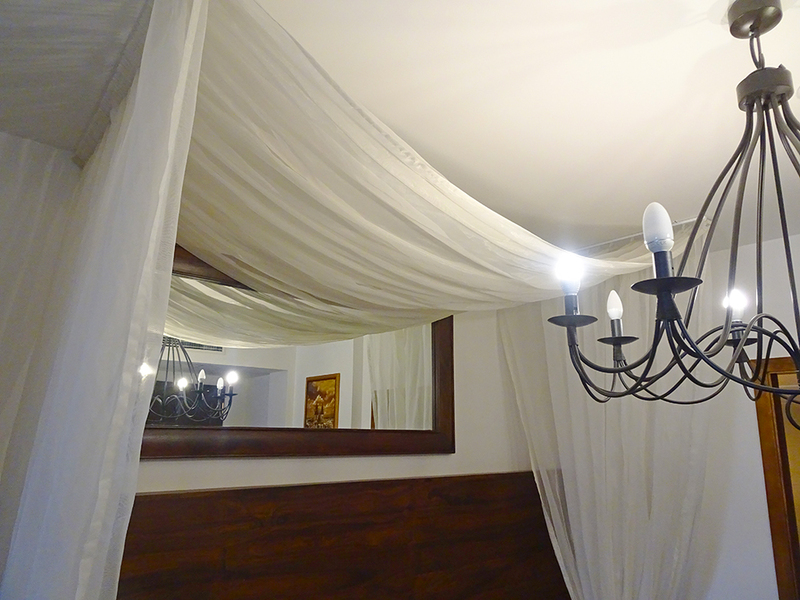 When I booked our room at the Residence Agnes, I sent a cheeky request in for one of the rooms that features curtains – mainly because I’d fallen in love with all the whimsical pictures on the site. Curtains are my biggest (and, probably, saddest) weakness. 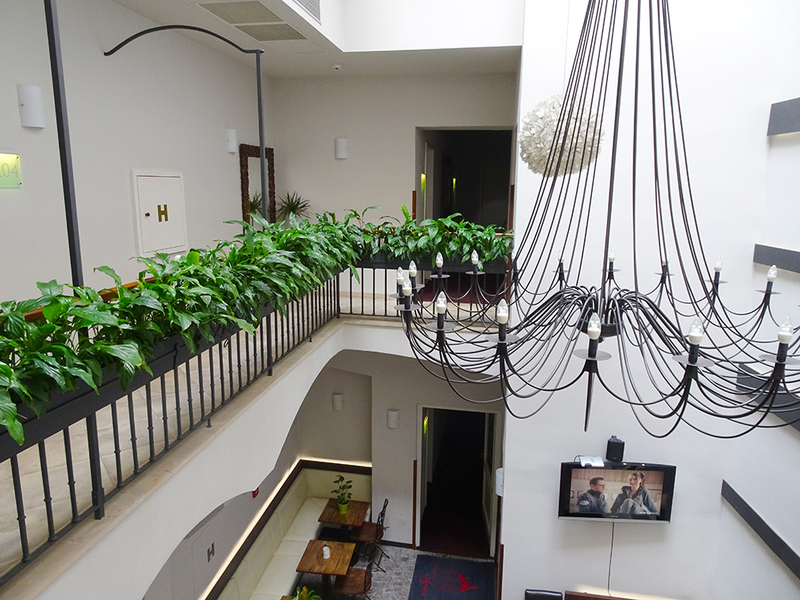 Overlooking the neighbouring Agnes Church, our room was reachable via several small flights of stairs (or a short ride in the lift), and featured a modern en-suite, a TV, a chandelier, a desk, mountains of dark wood, and framed photos of Prague. So. Many. Photos. Of the curtains. At one point we even arrived back from a day of sightseeing to find a complimentary bottle of wine and two glasses in our room, complete with a note telling us to call down to reception if we wanted to swap it for a chilled variety. 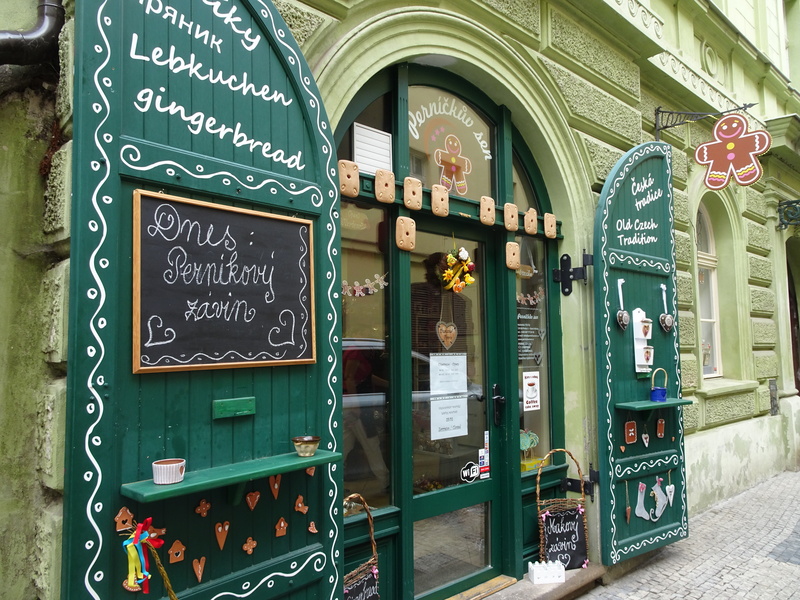 Found on the edge of the Old Town, and next to a sweet-smelling gingerbread shop, Residence Agnes is near pretty much every main sight in Prague. It’s a 16-minute (slow) walk to Charles Bridge, and an 8-minute walk to the Old Town Square, all via quaint cobbled streets and past bustling bars and shops. And the Vltava River is even closer – just 4 minutes’ walk! For three nights, we paid a total of €407 (around £347 at the time of writing) which included breakfast each morning. 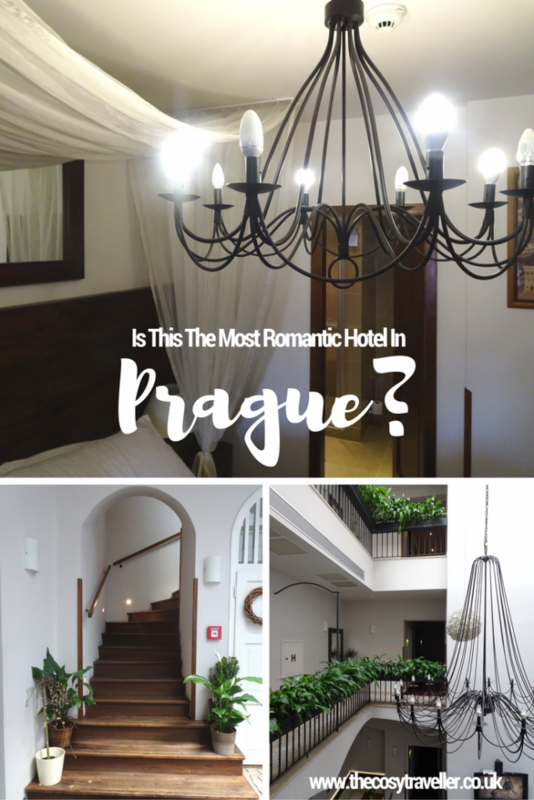 It might sound a lot, but when you look at some of the other luxury hotels in Prague, you soon realise that’s actually a pretty sweet deal! What do you think of Residence Agnes? 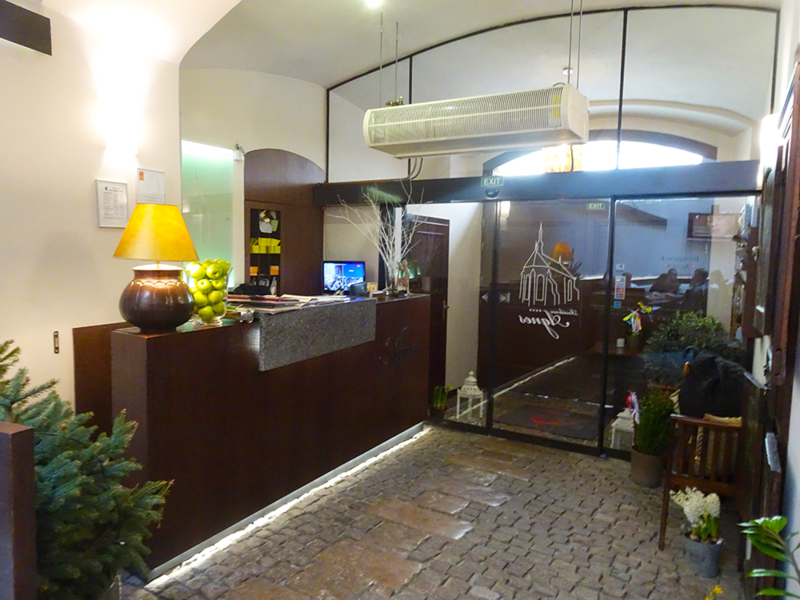 Is there another hotel in Prague you would recommend? Wow, that place looks so lovely Emily! It does fall in the affordable luxury bracket, so not the best choice for a quick, cheap weekend away but it sounds like it’s really worth the money. That’s probably the best customer service I’ve ever heard of! I think that’s amazing value Emily for a European city hotel somewhere so central, chic, well reviewed and with beautiful interiors! Just imagining what your boyfriend must have thought you’d been telling them behind the scenes to get that suite!! 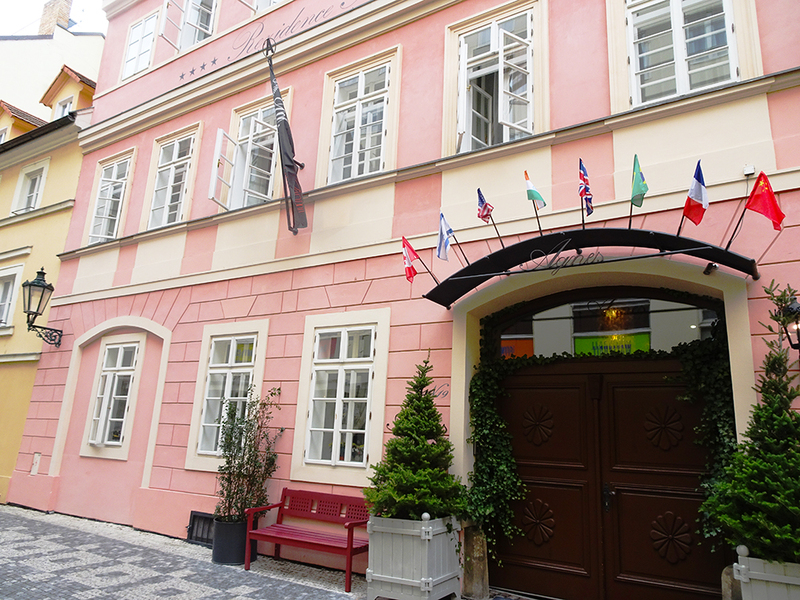 😀 I went to Prague more than 10 yrs ago with family but my hubby’s never been and really wants to so will definitely be keeping this hotel in mind!